We recently talked to Evan Smith, Co-Founder and Creative Director of Pixel Dash Studios, about his team’s action/racing game Road Redemption. The game was released this past October on Steam with console versions planned for 2018. 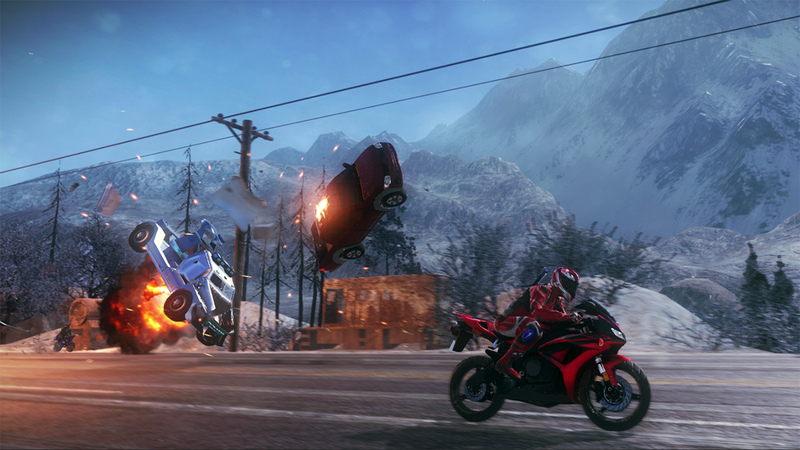 Read on to see how Evan and the team got started with Road Redemption, and how TurboSquid models were used throughout their development process. 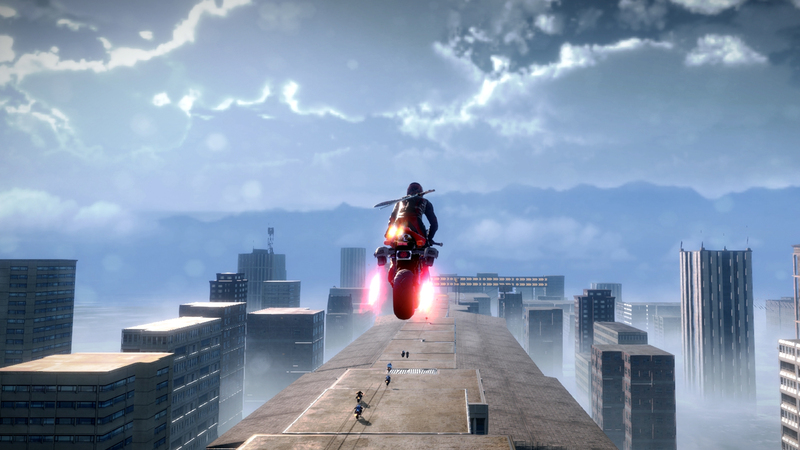 Tell our readers a little bit about Road Redemption and the history of its development. 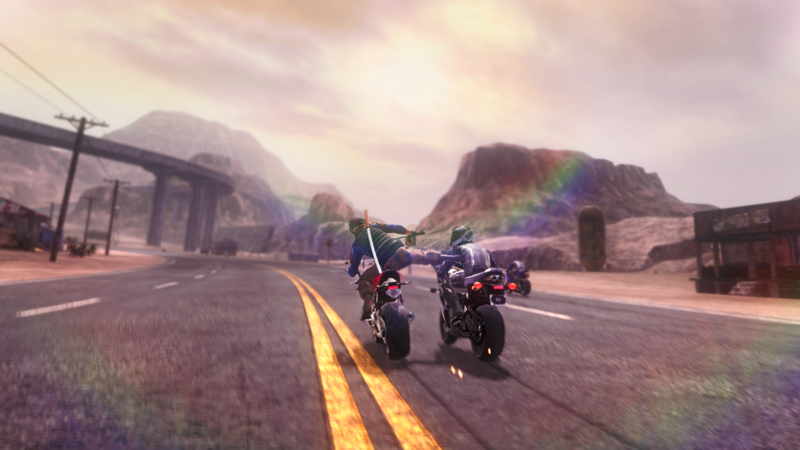 Road Redemption is a post-apocalyptic motorcycle combat game, often referred to as the spiritual successor to Road Rash. In the singleplayer and co-op campaigns, you’ll embark on a brutal driving adventure as you chase a mystery assassin across the country and drive deep into enemy territories. Earn money by completing races, assassinations, robberies, and other challenges in your path. As you collect loot, you'll upgrade your skill tree, your bike, and your weapons. Additional features include online multiplayer mode, 4-player splitscreen co-op, and a deep motorcycle fighting system with grabs, kicks, counters, critical strikes, and more. Development started picking up pace after a successful crowdfunding campaign back in 2013. By 2014 we released our playable Alpha on the Humble Store and then released via Steam Early Access a few months later. 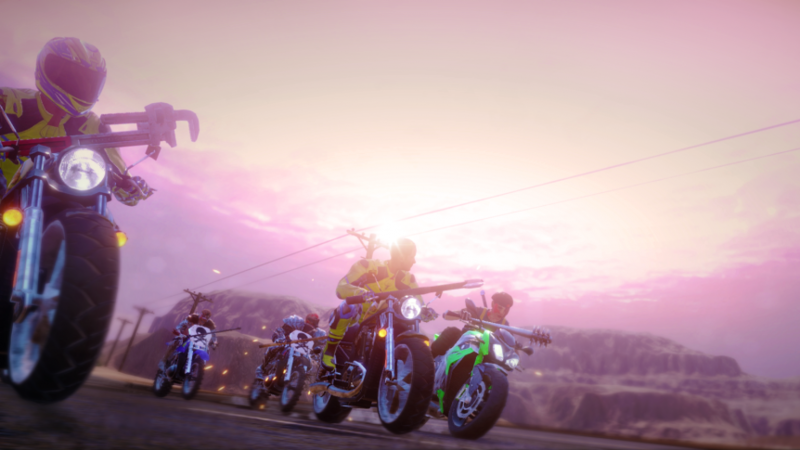 Road Redemption officially left Early Access and launched on PC, Mac, and Linux in October of 2017. How did TurboSquid fit into your development pipeline? Do you think using stock content influenced how the project was developed? Road Redemption was a fairly substantial indie project to tackle, particularly when you have a small dev team working with limited funds. It was crucial that we created content for the game in a manner that was as cost effective as possible while still maintaining a level of quality that supports fun gameplay and meets expectations for a $20 indie game. I think most dev teams would love to create as much content as they can from scratch (including us), but the reality is there are times when you need to purchase some of your assets. This can can expedite your content creation and allow you to focus more time and resources on making sure the game is fun, performant, and stable on all platforms at the end of the day. Our asset list was mostly mapped out ahead of time, so when we did browse TurboSquid, we typically looked for stock assets that filled a specific need in the game. But sometimes we’d stumble across a cool stock asset serendipitously, like a character asset for example, and realize that, with a few modifications, it could be a great fit as a surprise character in our next holiday update. How do you typically decide whether to look for a piece of stock content as opposed to building it from scratch? 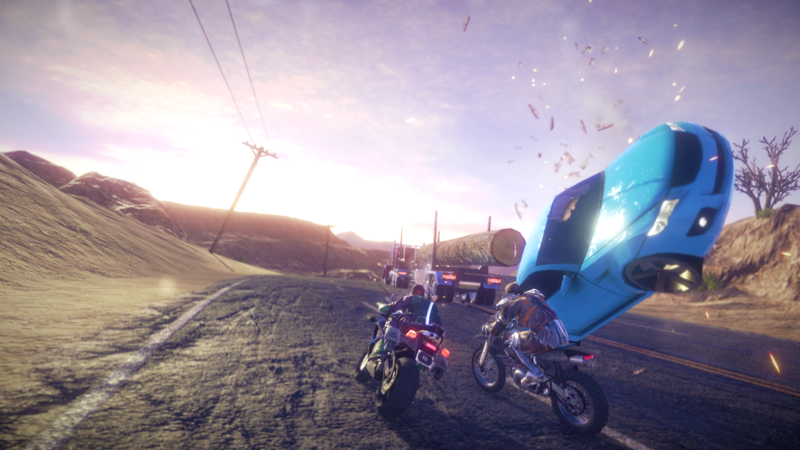 Given that Road Redemption was heavily inspired by games like Road Rash and Burnout, we knew from the onset that our art style would not be overly stylized. This meant we could leverage stock assets from TurboSquid without too much concern for incompatibilities with our chosen aesthetic. We approached every asset thinking- how can we give ourselves a good starting point? Sometimes this means purchasing a nice texture for asphalt or wood and creating the rest of the asset from scratch. Special assets that are unique to our game might follow this approach. But sometimes a stock asset might be available and it’s exactly what you need, like an AK47 or a powerline pole or a cactus. For us it’s incredibly helpful when stock assets are truly optimized and designed for video games. Before making a purchase, we’d try to find assets that included detailed screenshots from multiple angles that clearly showcase the asset’s topology, UV layout, and texture detail. Ideally we’d be getting an FBX file format that uses 1-3 materials and includes 2k or 4k textures that are designed for physically based rendering materials. It’s an added bonus when the asset includes several LODs which allows us flexibility when it comes to fine tuning the in-game polycount. Were you typically looking for assets that you could drop directly into the game, or you comfortable with a certain level of modification to get certain assets working right? When looking for stock assets for Road Redemption, we definitely tried to find assets that were game-ready, but we also knew some of our content was pretty unique and would require a customized solution. At times a stock asset can be useful even if it requires heavy modifications. For example, when we needed a standard pistol asset, we were confident that a good stock asset already existed and could get us 90% of the way to completion. On the other hand, we had an idea for a unique motorcycle inspired by a bulldozer. We ended up purchasing a dozer asset from TurboSquid and completely reworking it to create two very unique bikes in the game. What’s next for Pixel Dash and Road Redemption? 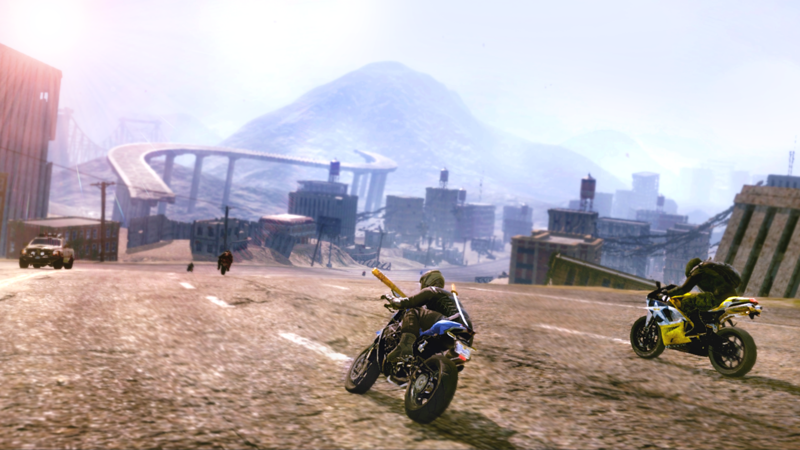 Keep an eye out for console versions of Road Redemption in 2018!